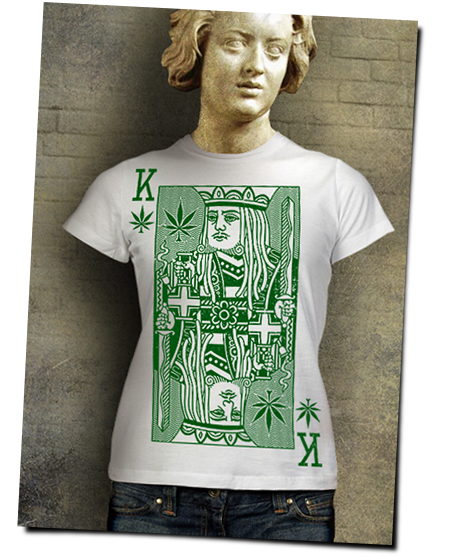 Here's another new design, my King of Weed T-Shirt. 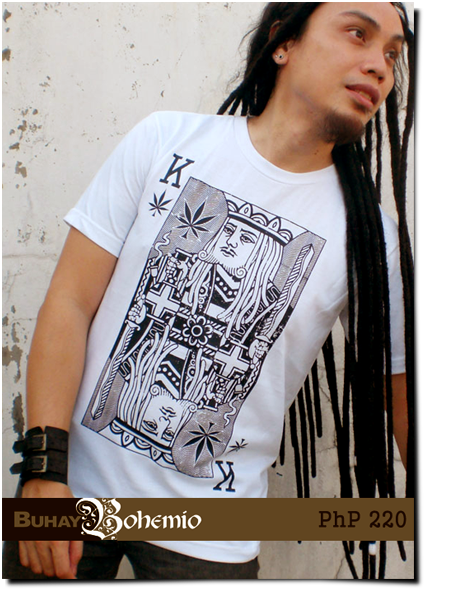 The design is taken from the King of Clubs. So we have here a dread-headed monarch holding a sword on his left hand and a bong on his right hand. Really, the concept of the ganja leaf as a card suite really isn't new but I made an effort to give this artwork some originality. Thanks Thereza! For now I only sell online as I have no printed stocks yet. Shirts are printed when ordered.